D'Souza's hatred for African Americans appears to be deeply personal, particularly when they are more successful than him. If you have observed the behavior of right wing propaganda merchant and convicted felon Dinesh D&apos;Souza over time, you will have noticed that he has a particular hatred for African Americans. He often takes to Twitter to attack prominent black Americans, most notably President Obama, who he viciously smeared as a "ghetto" thug who hated America. There are few things D&apos;Souza hates more than black people "speaking out of turn," and he dedicates a truly inordinate amount of time going after African Americans who dare to criticize America or express liberal views he dislikes. It is a trick Fox News, Breitbart, and Donald Trump have perfected over the years, used to incite hatred amongst white Americans for political purposes. When white Americans feel threatened by unruly black or brown people, they come out and vote. 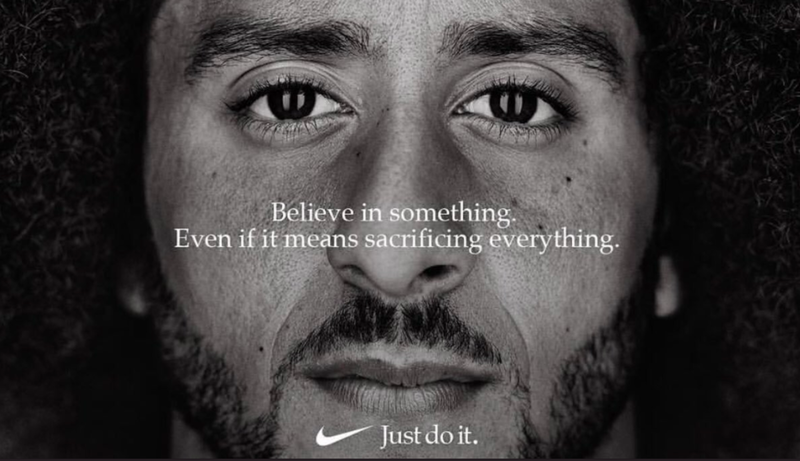 As of writing this, D&apos;Souza is still tweeting away, trashing Kaepernick and Nike by retweeting as many moronic "patriots" burning their shoes as he can. This is, you must remember, a 57 year old man, and supposedly one of the biggest intellectual heavyweights on the Right. It is worth exploring why D&apos;Souza has developed such a hatred for African Americans that he feels the need to troll them so mercilessly. 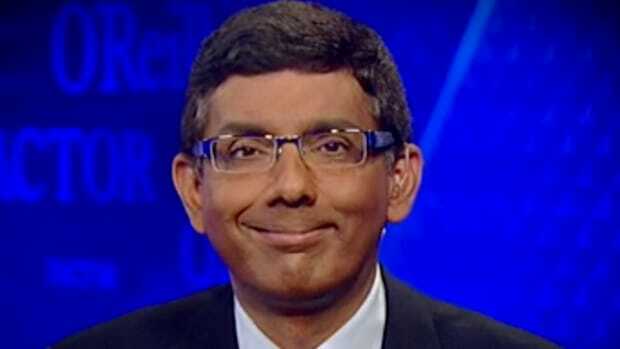 D&apos;Souza likely developed this hatred for those with darker skin than himself due to his own immigrant roots. As Jeet Heer writes in a devastating piece in the New Republic, D&apos;Souza brazen racism is at its essence, an attempt to "whitewash" his own ethnicity. "One of the saddest things about D’Souza’s racism is that it’s clearly built on some element of self-hatred," writes Heer. 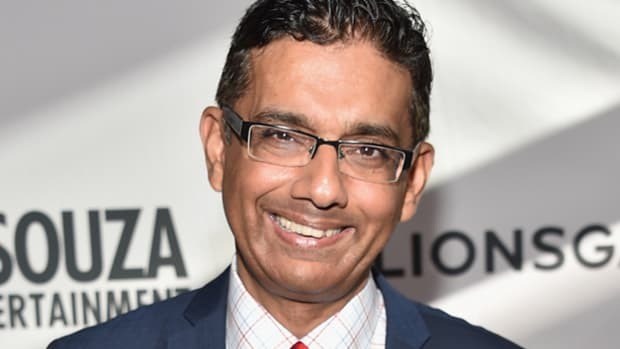 "D’Souza’s racism makes sense if we view it as part of his long effort to succeed in a right-wing milieu that is both anti-Indian and anti-black," he says. "Within that context, D’Souza has given saliency to anti-black racism to compensate for a potentially embarrassing background as a Mumbai-born immigrant. 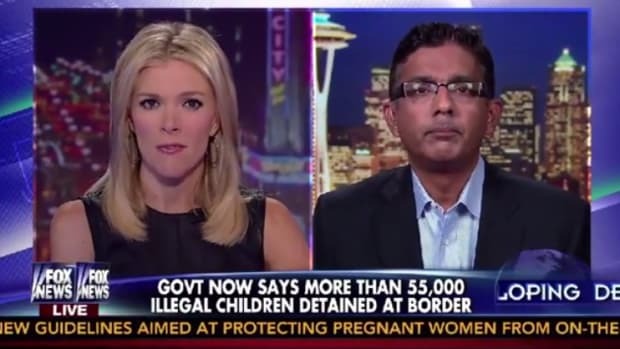 Is D’Souza sincere in his beliefs or simply an intellectual mercenary? It’s impossible to know for sure. 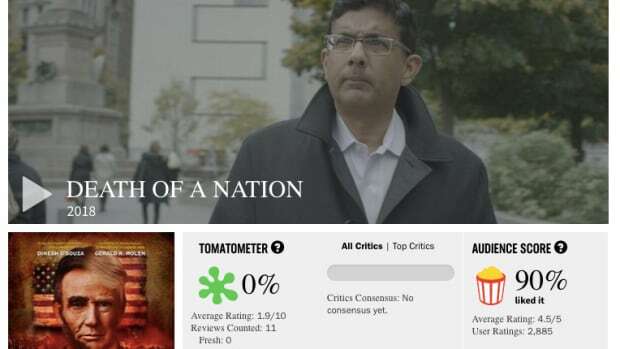 What can be said with certainty is that as an Indian willing to voice anti-black sentiment, D’Souza has carved out a lucrative niche for himself, enjoying a national audience from the time he was an undergraduate." D&apos;Souza comes from a country with a deeply entrenched caste system that he benefited from. 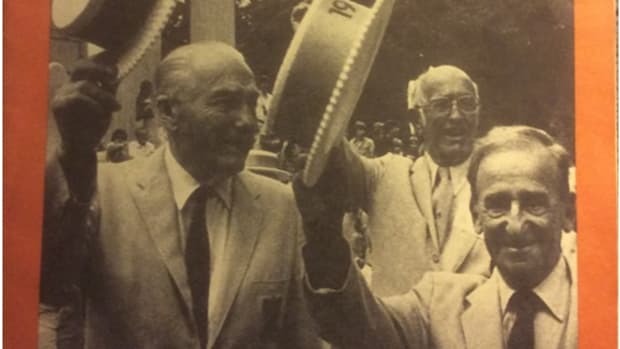 As part of a Western, Christian educated elite caste in his home state of Goa in India, D&apos;Souza likely came to America with a belief that he was entitled to the same privileges. But America has its own hidden caste system too, and as a dark skinned Indian, D&apos;Souza would have realized fairly quickly that the privileges extended to him in his own country did not apply in his new home. By denigrating African Americans, who incidentally fought for centuries to ensure people like D&apos;Souza could live and vote freely in America, he could feel better about himself and ingratiate himself with power (white conservatives). D&apos;Souza&apos;s story is a tragic one, born out of Western colonialism and its inherent racism. He is a self-hating dark skinned man who can only find self worth by attacking those he sees as being lower on the caste system than himself. Men like President Obama and Colin Kaepernick are particularly offensive to D&apos;Souza because they are richer and more powerful than he is -- a fact his warped, racist mind cannot come to terms with. Thankfully, there is no need for prominent black Americans to respond to any of D&apos;Souza&apos;s vile bigotry, because their success is a greater insult to him any juvenile tweet could ever be.